The Baby Bible Storybook offers twenty-three favorite Bible stories, like Noah and the Animals, David and Goliath, and Daniel in the Lions Den. 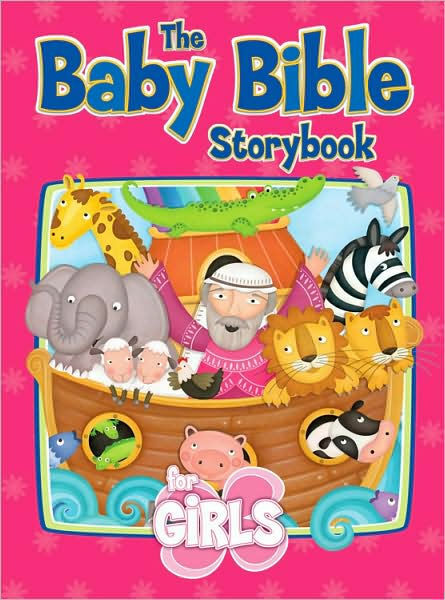 Baby Bible Storybook for Girls by Robin Currie was published by David C Cook in December 2009 and is our 5237th best seller. The ISBN for Baby Bible Storybook for Girls is 9781434767837. Be the first to review Baby Bible Storybook for Girls! Got a question? No problem! Just click here to ask us about Baby Bible Storybook for Girls.